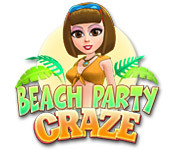 Beach Party Craze is rated 4.6 out of 5 by 26. Rated 5 out of 5 by amylmenke from Good game I like this game. I'd recommend. Rated 5 out of 5 by moonlit_rose from Don't let the age or graphics turn you away! 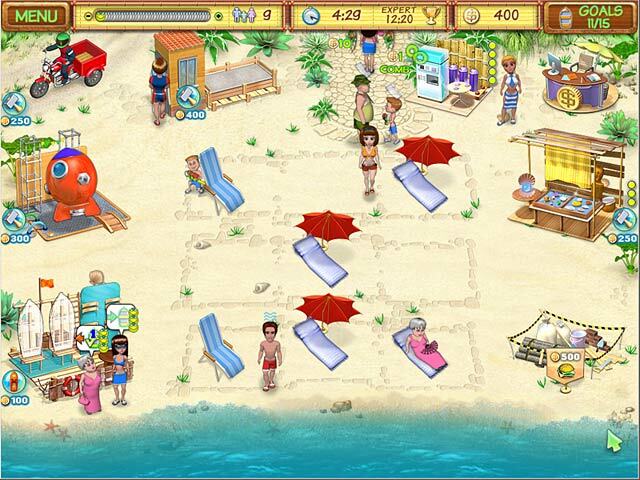 The game play in Beach Party Craze is everything done right in a time management and strategy game. The graphics are rather ugly and cartoonish BUT its very easy to see who needs what, where you need you to be and when each task is getting done. Sound effects are not only cute but useful indicators of when an item has arrived or is in use. You can replay a level for silver/gold to get more stars (money) for future upgrades. If you bomb a level you can still finish it as slow as necessary to at least grab those stars. There is certainly strategy in this game. Frustratingly so until about 8 levels in when I understood how to best use upgrades and advertising. 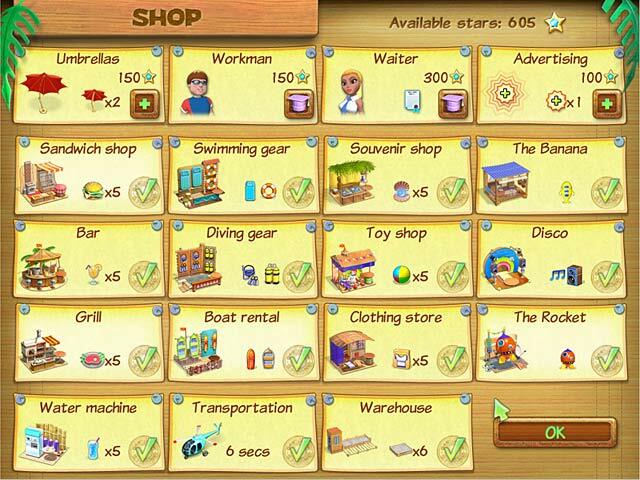 If your goal is to sell X burgers and X cocktails but first you have to purchase each shop to make these items (which is done while playing the round) then you will have to experiment to see which will earn the necessary amount of profit to build a second then third shop. The type of products, services and shops required varies, which makes each level feel unique instead of one obvious step passed the previous level. Still, it can get monotonous because the graphics aren't inspiring and there is little story. (Though I'd rather a game is short on story then long on a boring plot.) This is not a game where I'd park in front of my PC with relentless determination until I had beat it in a couple days. But whittling it away a few levels per day is extremely satisfy. You feel as if you EARNED that gold trophy. That's always my hope going into a new game: that the time I invest playing it will be worth it. In this case, as a strategy lover, yes! Rated 5 out of 5 by SumrBrz33 from One of my most favourite games! I love this game! I have played it a lot over the years. It's fun and can be very challenging to get expert on all the levels. Graphics are excellent too. Rated 5 out of 5 by goldipops from Great Time Management Am very fussy about my TM games, and having bested many of the most popular games, and after scouring the list for something that won't disappoint (which many do) I came upon this, and after the free trial was hooked...line and sinkered! Really great game, was stuck on one level for so long to get a gold trophy but when I did was a little sad as the game was over, just wanted it to keep going, bring on beach party craze 2 please, please, please! Rated 5 out of 5 by yvon40177 from Surfs Up! Loved it!!! I loved this little time management game!! Wish there were more like this... I found it very entertaining and fast paced. Gives you plenty of upgrades and I bet you love it too :) Have fun in the Sun... Surfs Up :) have a great day/night... Can the maker of this game make another please :) Thank you! Rated 5 out of 5 by AJLlewellyn from Fantastic Game! I am so addicted to this though I bungled badly at first. I had no idea until I went to the Big Fish Forums that I was supposed to advertise the various venues. I turned down the music and turned up the sounds and it's hilarious! I like the various characters's voices...the he-man always makes me laugh. I've been playing it for weeks and have now got 27 gold levels and 13 still at silver. Determined to beat the clock on all of them. This is a clever, fun game of strategy and I love figuring out the key to each level. I really love this game and recommend it highly! Rated 5 out of 5 by iburn01 from Great fun! 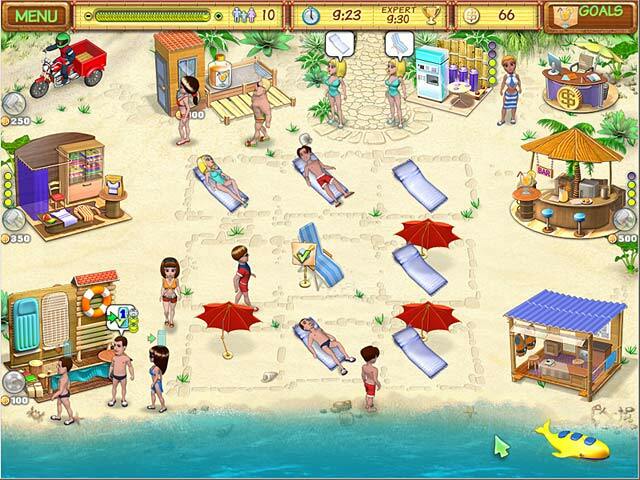 This game is fast paced and has a lot of variety in things that your character can do. Watching the different personalities on the beach can be fun too. A great time management game. Rated 5 out of 5 by MrsWatermelon from Best TM Game On BFG This is the best time management game on the site, without a doubt. The levels are very varied with a good range of challenges. Some are about selling a certain amount of a product, some are about making a certain amount of money, others are a combination. The level of challenge is excellent. Once you hit the early-middle levels you have to really start thinking and plan a strategy before you start. Sometimes it takes several tries and for you to realise small details, such as which character type will rent a lifesaver or a scuba diving set. The graphics are nice, colourful and clean. I can't comment on the sound since I always play muted. The storyline is simple and doesn't get in the way of the game, which I like. There could be a few minor improvements. You can hire staff to help but they won't multi-task and you can't assign them specific tasks, they will just pick up the first one they can when they're free. You don't have the opportunity to turn away guests which is useful when you want a particular type of guest on the beach. This is one I've played again and again and I always enjoy it. Rated 5 out of 5 by May0609 from Great TM Game I sat on this game for a long time but once I decided to not give up at the first hurdle, I was addicted. The + for me was that if you failed to get gold on the first try, you can try again but the money made on the first go, is added, which meant, you could shop for upgrades etc, again. I haven't been able to get Gold on all levels but I will keep trying ;-) The downside was the ending, "You both made exactly the same." Was definitely a disappointment. I'm now waiting for Beach Party Craze 2! !